If you are a fan of show, then you are probably intrigued by this new comer. 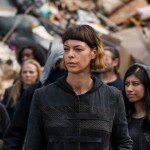 Her name is Pollyanna McIntosh and from her unusual hair to her quirky dialogue she is definitely drawing from Pisces vivid imagination. Piscean women are known for their deep emotions as well the strong undertows in their personalities. Born on March 15th, 1979 in Scotland, a true Pisces, making her perfectly cast as the mysterious Jadis. Only time will tell what the writers have in store for this exciting addition to the show. But, we are hooked! We’re PsychicsForetell.com, the most trusted source for the best psychics. We offer live psychic phone readings as well accurate horoscopes.